CIMA is currently exploring the possibility of making silicon probes. Those probes, in which the gamma is mainly detected by its Compton interaction with silicon can find many application in medical imaging. 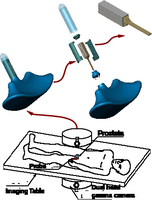 One particular case is a Compton Prostate Probe. There are a number of publications on this subject and also a thesis. Tape Automated Bonding is one of the technologies we are exploring in order to encapsulate properly sensors and their associated electronics in order to build silicon probes. 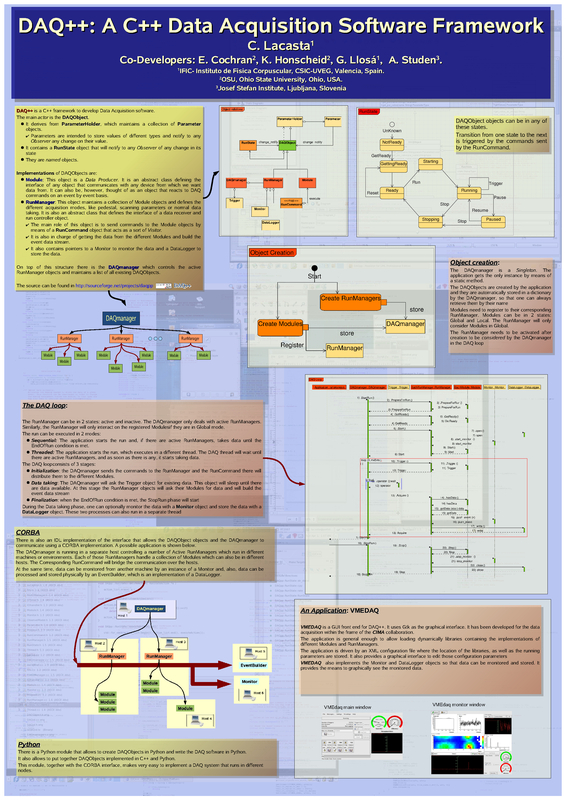 Below you can find a series of documents describing the work made on this. Find here a map with the location of our institute. A shared taxi can be a good option. However you should avoid rush hours. Unfortunately, IFIC is in a street with no name, so you will need to show the taxi driver the map showing where the institute is. A good hint is to tell them it is by the local TV building. Note: When taking line number 4, watch carefully the destination and never take Fira. The easiest is to take either Mas del Rosari or Llarga Terramelar. 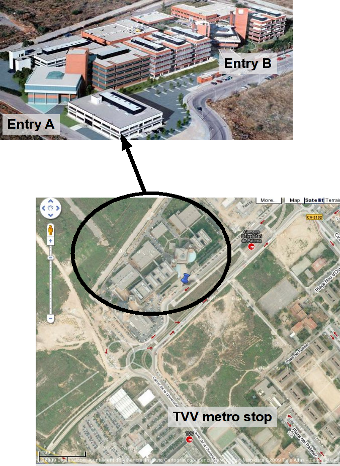 If you take Vicent A. Estelles you will need to walk a little bit to get to IFIC (see the map). The picture shows the institute as seen from TVV metro stop.